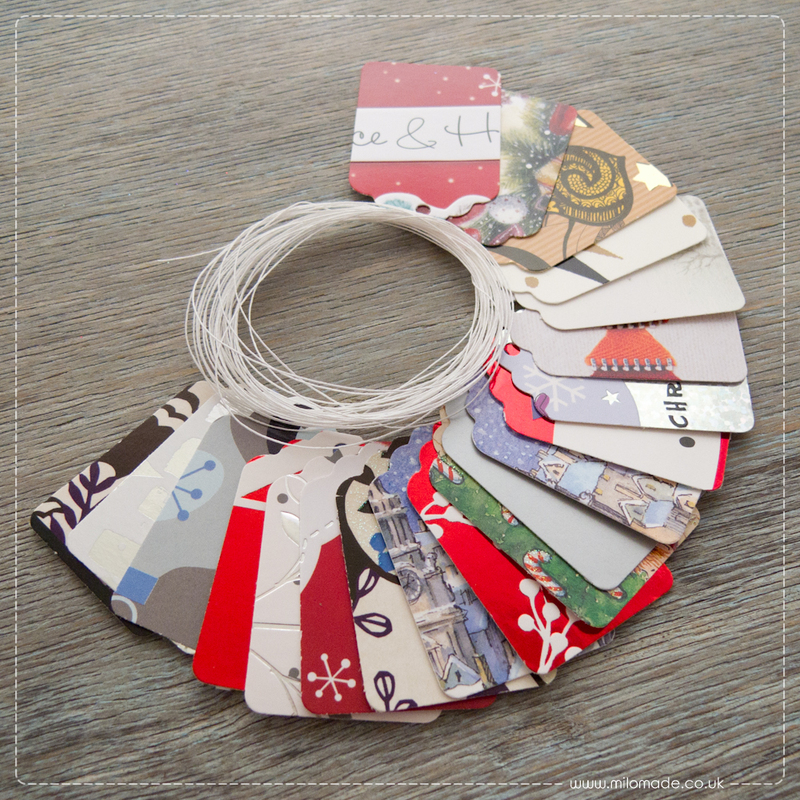 …that I found myself without any gift tags to put on the presents we’d just wrapped – having sold so many packs of gift tags at craft fairs in December. I didn’t have the time or inclination to climb back up to the loft and hunt through my stock box to find the remaining packets. So I decided to make some new ones. 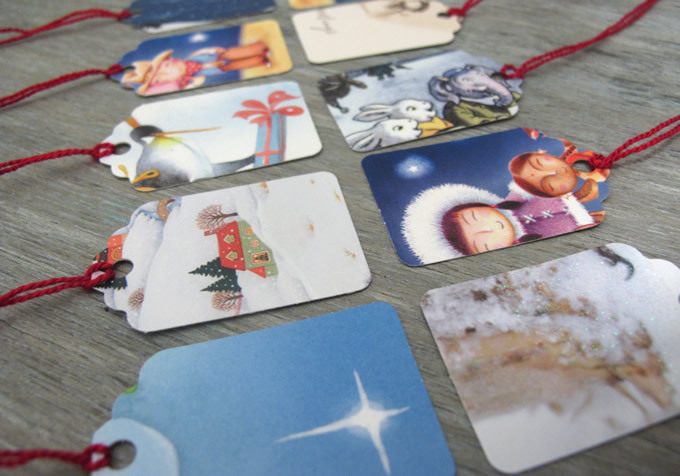 Earlier I’d found all the Christmas cards we’d received last year and so I decided to use those to make all the gift tags we needed and here are the results. Look out for the ‘Free Gift‘ alert at the end of this post. I didn’t select all the little details, I just made sure I got as many gift tags out of each card as I possibly could in order to reduce waste. I think they’re so lovely and I’d love to make some more. 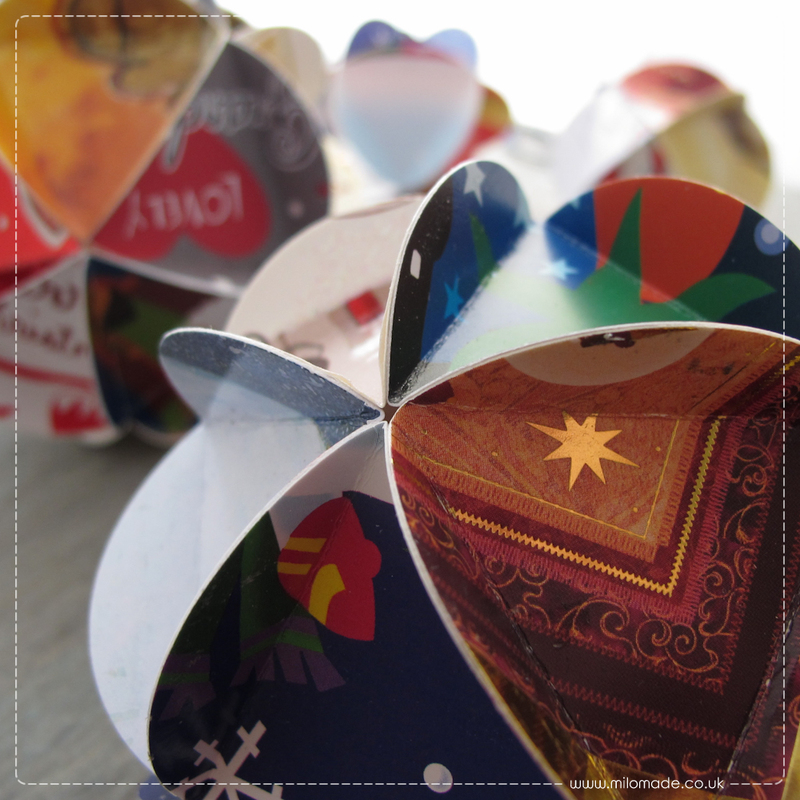 So I’m appealing for you to save your Christmas cards – don’t throw them away, don’t put them into the recycling bin – send them to me – unless you want to make things out of them yourself that is – why not give it a go! If you want to get a free gift from Milomade in exchange for your kind donation, please include your address in the package and I’ll send something back to you as a thank you. 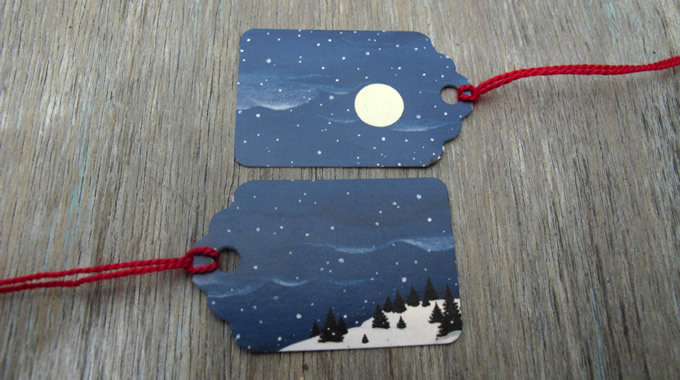 Get a free pack of Gift Tags with every order! This entry was posted in Competitions / Discounts / Offers and tagged Christmas. This is a great idea! How did you get the tags so regular? Did you use some kind of cutting machine? Just found your blog! I love this post. I’ve always made gift tags from last years Xmas cards (it’s one of my traditions and reminds me who to send to). Your tags look amazing and have inspired me to get a bit more professional. Thanks. I have a lot of maps to recycle and was wondering if you might be able to put them to use? They are primarily of locations in the US (Washington state and California). Cards on their way from me and FCA&C! Pity I staple mine to ribbon for display purposes – hope the holes don’t wreck too many design possibilities! Thanks Susan – Angie mentioned you had a load for me when I saw her over the weekend. Hello Susan! I think great minds must think alike. I recently told my mom to keep her old Christmas cards because I had bought a punch just like yours for a project I did with my students. Hey I just saw this on Pinterest! I was wondering how you get the other side white to write to and from on? Thanks!! I don’t do anything as they are already white on the back. What size are these tags? 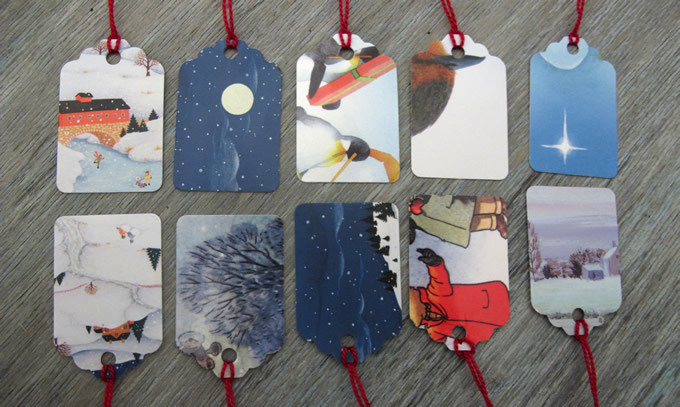 I have some cards that I would LOVE to reuse this year as tags. Just came across your idea on Pinterest. I realize this was originally posted two years ago. Any chance you might still want some old Christmas cards? My elderly mother just hates to throw them out and has two small gift bags stuffed full. I’d be willing to send some to you. Also, where did you get the pattern for the tags? I may try making some. Thanks. Hi there. I’d be very happy to receive a donation of cards. I don’t have a pattern. I use a craft punch to punch the gift tag shape from the cards and then I use a single hole punch to make the hole for the thread. You can pick these up quite cheaply on eBay. Plus you can get loads of different sizes and styles. Give it a go, it’s lots if fun! 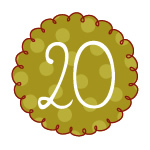 Do you have a pattern you can share for these? Not quite sure what you mean as they are made from old Christmas cards so I’ve not designed them myself. 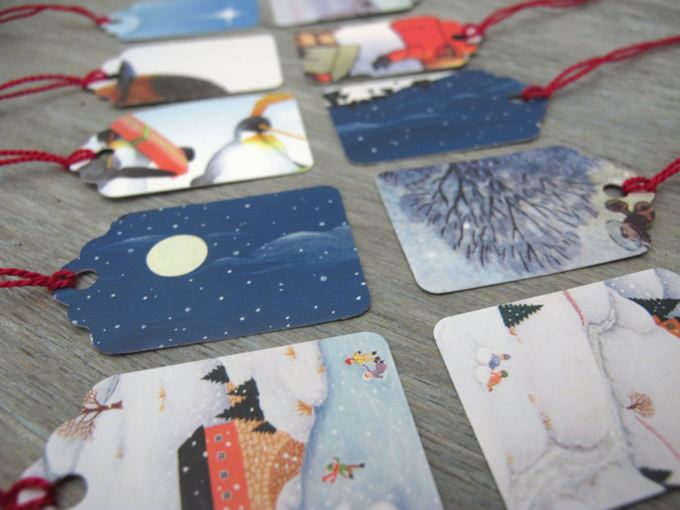 I used a craft punch to cut the gift tags and these a available from most craft stores, plus online – just do a search for the size you need. Do you have a template for the tags? Would love a copy! Nope sorry – no template. To answer the question from Bailee: When the back of the tag has lettering or handwriting on the back, you can use the next larger punch and make another tag for the backing. 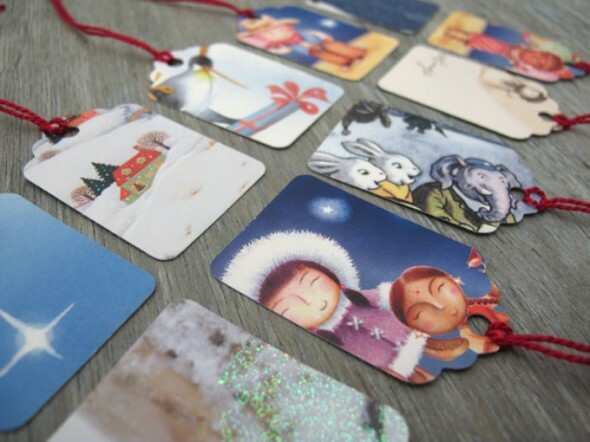 Glue them together, make your hole punch and stamp your to and from. Also you can punch the same size of a blank color and paste/glue to the back. I’m having fun making mine! can you send a link for the punch. i have a punch but it only does one end, your looks like it cuts the whole thing in one go. thank you. They are widely avaialble from craft stores on and offline, just do a search. As I don’t know your location I can’t advise you where to get one from.